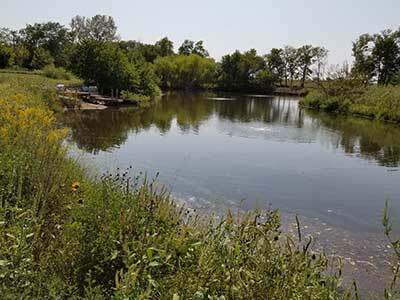 Heartland Lake Management is owned and operated by a Lake Specialist with a Master’s degree in Biology and over 15 years of operating the business. 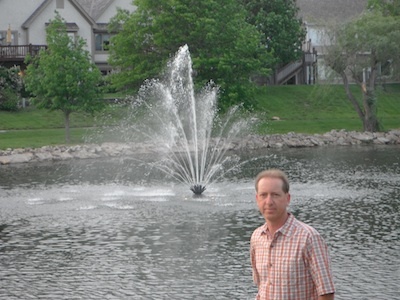 We are your personal Lake Specialist, offering consultation and services to Homeowners Associations (HOA), private lake owners, and businesses. We often begin with a Lake Evaluation, where we provide a consultation to find out what is right and what is wrong with the lake. We treat lakes and ponds to control nuisance aquatic weed growth. 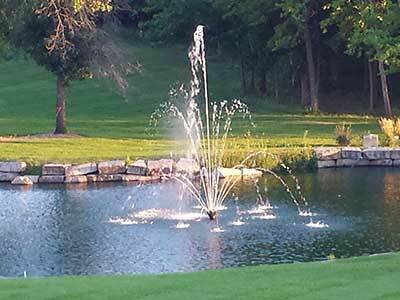 We also specialize in design, installation, and maintenance of aerators and fountains. We have the experience and knowledge to identify problems in and around your lake or pond and can provide solutions that work. Although there may be similarities, the differences that occur between properties can make a huge difference in how we solve the problem. We also listen to our customers. They are all interested in being cost effective at solving the problems. Some want it solved as quickly as possible, some willing to wait and let our management strategies do their job, and some have views about the environment. We accommodate all. Our customers appreciate the details, and we pride ourselves on doing it right the first time. Lake Management is what we do, but many customers appreciate that we are also very familiar with managing properties for other interests too. All of this is part of the charm, and what makes our company so useful and unique. We are located in southern Johnson County, Kansas, but providing service to our customers takes us well beyond this area. By utilizing our years of knowledge and experience, we succeed for our customers. We are here to help.